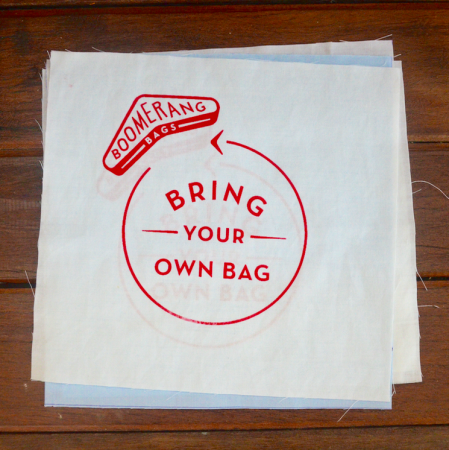 Cut and printed, ready to be hemmed and sewn onto your boomerang bags! Please also note that we use a mixture of recycled fabrics in plain colours to print patches. If thicker fabrics are used, the edges will come cut with pinking shears so that there is no need for hemming. Please let us know if you would prefer only linen fabrics. Pre-printed onto recycled card, using plant-based ink. Double-sided (‘Remember your reusable bags’, and dolphin ocean graphic).